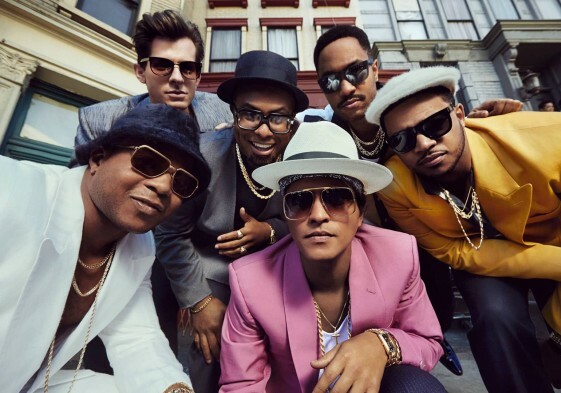 Today, GRAMMY® award-winning producer and musician Mark Ronson unveils the music video for his infectious new single “Uptown Funk” featuring Bruno Mars. PRESS HERE to watch the video directed by Bruno Mars and Cameron Duddy (Bruno Mars, Grouplove, Awolnation) on Yahoo.com! “Uptown Funk” premiered on November 10th, and in just one week it has skyrocketed to be the #1 most added song on Top 40 Radio at over 100 stations, #2 most searched for song on iTunes, and the YouTube audio stream has garnered more than 1.2 million views. The song was co-written and co-produced by Mars and Ronson, and is the first from Ronson’s highly-anticipated new album Uptown Special, which will be released via RCA Records on January 27th, 2015. This Saturday, November 22nd, Ronson will make his first performance on famed late night NBC show, Saturday Night Live. He will perform “Uptown Funk” with Mars along with an additional track from Uptown Special featuring another very special guest. Uptown Special, Ronson’s fourth album, is his most inventive and vibrant work to date. Taken as a whole, the album is inspired by his musical beginnings. As a teenager growing up in New York City in the early 90s, Ronson gravitated towards hip-hop, funk, soul and R&B. Those were the records he lugged around in boxes in the early days of his club DJ career and that scratchy, inspiring vinyl was what he returned to when creating the album. It was written and produced with GRAMMY® -winning producer Jeff Bhasker (Kanye West, Drake, Alicia Keys) over 18 months in studios in London, Memphis, Los Angeles and New York City. The majority of the album’s lyrics – although not the lead single with Mars – were written by Pulitzer-winning American novelist Michael Chabon. Ronson’s favorite living author, Chabon became a part of the songwriting process early on and was fully immersed in the album’s narrative creation, often working with Ronson and the vocalists in the recording studio. PRESS HERE to stream “Uptown Funk” featuring Bruno Mars on VEVO/YouTube. PRESS HERE to purchase the track on iTunes. PRESS HERE to purchase the track on Amazon.